For many readers, including myself, choosing the next book to read is a difficult task. Thankfully, the Man Booker Prize returns every year and offers by default thirteen suggestions of novels for those of us that enjoy fiction. This year I decided to closely follow the Man Booker from its longlist to its shortlist by attempting to read all thirteen of the nominated novels before the first elimination round on the 12th of September in something I called Project Man Booker 2017. Here I am, a week after the announcement of the shortlist, having read only three of the Booker novels. I thought of a funny parallel of my book reading perception that has to do with food. When I am hungry and I have a huge plate of food in front of me, I am certain I will not only conquer the whole thing but I will still be hungry in the end. Of course, I end up not eating as much as I thought I would and almost never go for a second plate. My Booker plans for 2017 were the huge plate of food in front of me. I was sure I could do it, took my time in getting to the books and by the end only finished three of them. In preparation for this post, I did some research on the novels I have not yet read because I wanted to join in on the conversation. Here are my thoughts on the Man Booker shortlist. From the beginning, back in the longlist era, 4 3 2 1 was presented as this brick sized novel that is massive and huge and massively huge. Of course, my defiant nature has no room for modesty when it comes to undertaking a novel. In my opinion, Paul Auster’s brick was a week’s intense work. In fact, since I had 4 3 2 1 sitting on my shelves since January and had gotten used to its presence in my life, I decided to pick it up a couple of weeks after the Booker announcement. Fortunately, as of today I have made my way over 80% of the book so I am able to talk about it but that doesn’t erase the fact I still have not read the whole damn brick. 4 3 2 1 is the story of Ferguson, or rather four different Fergusons, four different versions of the same Ferguson born on the same day from the same parents but follow four different trajectories in life. Essentially Paul Auster plays with the idea of what would happen to a person were the circumstances in his life just a little different. The story is indeed epic, literally following four versions of Archie Ferguson from birth to death, his relationship with his parents and friends, his way through school and university, his lovers and partners, and his ever-present love affair with literature. For its size, 4 3 2 1 is immensely readable as Paul Auster creates and builds Archie Ferguson from scratch to a boy and man you cannot help but love. 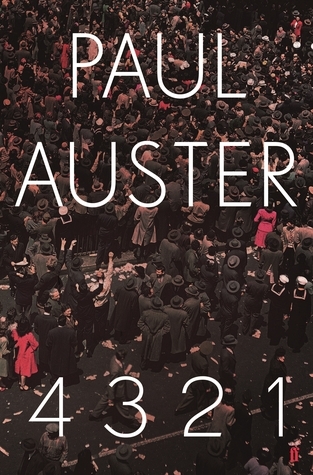 The book feels intimately autobiographical at times and though I cannot tell if it is true, this most definitely speaks as to the closeness and understanding Paul Auster communicates to his readers for his character. Still, the massive novel has its flaws – it is difficult to write a perfect monster. The writing at times is tedious – there is a whole paragraph full of actor names, literally – and Ferguson’s voice is mostly indistinguishable from one life path to the next. Overall, the book is easily enjoyable, a novel I could spend hours with. My biggest problem was the early impression I got that Auster created a fourth Ferguson just for the sake of calling the book 4 3 2 1 instead 3 2 1. And while undeniably this novel was a huge undertaking, I don’t see it as the Booker winner. I cannot imagine the honor and happiness to have your debut novel not only nominated but also shortlisted for the Man Booker Prize. Emily Fridlund’s first novel is one of the books I managed to read before last week’s announcement and, to be honest, I was surprised to see it making it to the next round. The story follows a fourteen-year-old girl who has been living with her parents in a tiny cabin in the woods in Minnesota. Fridlund warns from the beginning about the death of a small boy called Paul and as the novel unfolds we get to see Linda’s involvement in this tragic event. Fridlund gets extra points for her atmosphere-threading powers as the eerie ambience and the dark, melancholic air are elemental to a story that goes from bad to worse. Our tragic protagonist, Linda, is a girl who has learned to fend for herself as her parents are barely present in her life and she experiences loneliness and isolation as no teenage girl ever should. She goes to school wearing her father’s clothes and it is no wonder that bullying is a daily occurrence that Linda has learned to brush off. As we read on, the sense that something is very wrong with Linda quickly evolves into the feelings that something is very wrong with everyone. Here is where Fridlund’s shortcomings as a first time author become obvious as she is unable to place subtle cues hidden in her narration but instead repeatedly and explicitly states what I would have like to discover for myself. I am happy she has seen her debut in the final six but this is yet another book I wouldn’t expect winning the Booker Prize. 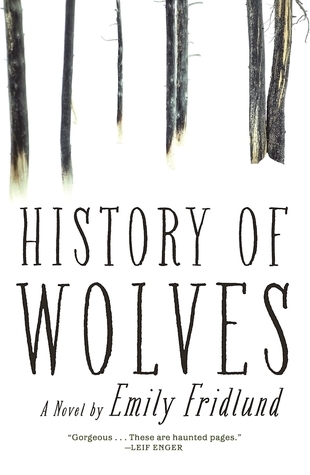 You can read my full review of History of Wolves here. Next we have the second novel I have read from the Man Booker thirteen and book I was surprised to see in the shortlist. 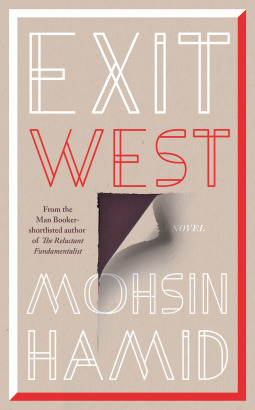 Exit West is a short story of two people living in a country on the brink of war. Saeed and Nadia, two very different individuals, begin a relationship and thus unwillingly become dependent on each other as war breaks out and things become progressively more dangerous and life threatening in their country. To survive they know they have to escape and they do so by entering a magical door that works exactly like the vanishing cabinet in the Harry Potter books. Harry stepped in the vanishing cabinet from Hogwarts and came out in the Borgin and Burkes store in Knockturn Alley. Saeed and Nadia then make their way to Mykonos as Mohsin Hamid paints the picture of their lives and hardships as refugees. While I enjoyed this aspect of the story – the refugee lives and hardships – and the deep understanding of human nature Hamid possesses, I found the overall concept of the magical doors sloppy and unnecessary and the only way I could translate the choice of their use was the Hamid could not thing of a better way to write magical realism. Consequently, the book can never be anything more than just an enjoyable read for me. The author wants to talk about the refuge crisis in our times and it is the reason why this book has made it into the shortlist and is likely to end up being the Man Booker title. It is my hope that a better novel will stop that from happening. You can find my full review of Exit West here. Well, so far I have not been very positive about the Man Booker finalists, have I? This is where my reading progress stops and my “research” begins because the next three books I have not read, starting with yet another debut novel, making its way into our list. Fiona Mozley is the youngest author of the six and while her first novel only came out a month ago, people already relate her writing to Sarah Perry’s. I won’t lie, Elmet sounds intriguing. I have deeply enjoyed in the past atmospheric books about the twisted side of human nature and people living outside of societal norms and this seems to be that kind of story. The DailyO calls this novel “disturbing” – yes, I want disturbing – and informs the reader who has not yet gotten around to reading the disturbing Elmet, me, that it is the story of a father who builds a house by himself in a land that he doesn’t own and lives there with his children. It sounds really interesting to me but still I cannot help but be weary of the writing abilities of such a young author and the fact that it is a first novel. Is this going to prove another case like Eleanor Catton’s The Luminaries? We shall soon see and in the meantime I am hoping to read it in October before the winner is announced on the 17th. Despite the beautiful hardcover I own and the raving reviews I have seen from critics I hold in high respect and tend to agree with, Lincoln in the Bardo is simultaneously an intriguing but also intimidating novel. The author does not take the conventional approach to storytelling but instead uses dialogue as a means to narration. 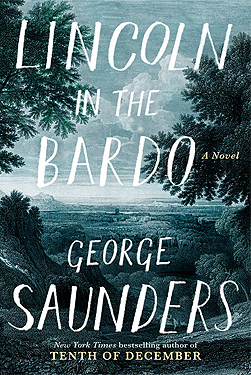 George Saunders is a long time author of short stories but, in fact, Lincoln in the Bardo is yet another debut novel, the third in this year’s Booker shortlist. In the winter of 1862 Abraham Lincoln lost his son Willie and our story here takes place two days later over the course of one night when he visits his son’s grave to spend time with his body as ghosts wake to tell stories. It sounds like an amazing story that could easily end up being something I would not enjoy, thus my hesitation. Since I haven’t read the book I will link here a review from one of my favourite reviewers on YouTube, Thomas from SFF180. I think he does an excellent job in every single review he writes and if you want to know more about Lincoln in the Bardo you can watch his video here. Along with Thomas’ review, one can find multiple others raving about this book. It certainly sets a high standard of expectations on my part for this novel, a book I am planning on reading before the end of September. 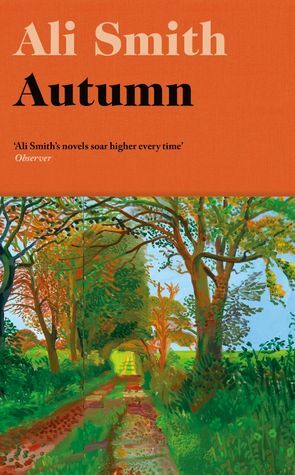 In the spirit of honesty, I would like to confess that I have read ten pages from Ali Smith’s first novel in the Seasonal quartet and did not think much of it. I found the beginning rather confusing the writing style unnecessarily weird. Still, one cannot judge a book by its cover and certainly not from the first ten pages either. Autumn is the first Brexit novel and what a big deal this must be for one of UK’s most highly loved authors. Most of not all of the reviewers I follow, even those that are often very critical of books and scrounge-y about giving a 5 star review have absolutely loved it. How wonderful would it be if a book which appeared confusing on my first attempt completely enslaves me on my second? I truly hope this will be the case. I found the review posted on The Guardian very interesting so I have left the link to it here. It looks like we will experience a battle between the refugee crisis and Brexit in this year’s Man Booker Prize. Autumn is in my immediate plans to pick up after I finish “the brick” 4 3 2 1. It came as a surprise to see the elimination of The Underground Railroad (click on the link for my review) and The Ministry of Utmost Happiness on the second round, the first one because it has been sweeping varying awards of different genres, and the second one because it has been talked about over and over again from critics and journals everywhere in gravely-lacking-patience anticipation of its release a few weeks back. I have read The Underground Railroad and I can say I would have gladly seen it make it to the shortlist in place of others that are currently occupying some of the places. I also made progress in Days Without End – I am almost half way through – and, despite everyone else’s opinions, I am not enjoying it much. I blame the narration voice which I find extremely difficult to follow which then I have come to blame on my lack of exposure to Irish english. Seriously, it takes me forever to read one sentence of this small thing and the thing is: I really wanted to love this book. I went into it with the best of intentions but it is simply not worth it when I spend so much energy in simply understanding what the author trying to say. I also read a little bit from Reservoir 13 and did not think much of it so I’m happy to see it will not have to be on my immediate reading plans. I thought the characters were there but at the same time not. Or rather they were there just to tell the story and play a role but were simply one-dimensional names on a paper. I also have picked up Home Fire – you see the pattern here, biting a piece from each book – which was one of the novels I was enjoying from the longlist and would have more eagerly seen in the final six instead of Exit West. And finally we have Solar Bones which I also have read ten pages from and thought it had potential in its experimental, one-sentence format and Swing Time by Zadie Smith which is the one book I know nothing about. What did you think of this year’s Man Booker Prize so far? Have you read any of the Booker thirteen and how did you like them? Hi! Glad to see a fellow blogger taking on this challenge! I’m reading the brick of a book 4321 myself, and I can’t wait to be done. A few things I wanted to suggest to you though: read through Autumn — it is a good read! 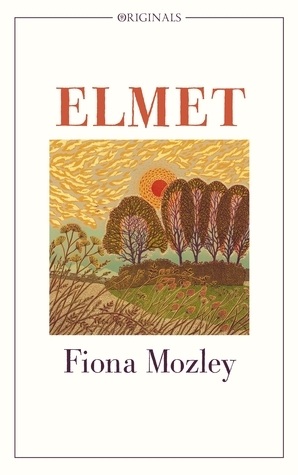 You just have to wait out the first few pages, and then it gets “normal.” Elmet was also really astounding, I never thought I would really get into it. Lincoln in the Bardo though was really just ~whoa~ to me, and I echo your sentiment on it being intimidating. Good luck! This is exactly the encouraging words I needed to try again with Autumn. I am very excited to get into it a second time so thank you! It seems I am about to read three very good books and I can’t wait. Thankfully, despite its size 4321 has been a relaxing and pleasant reading experience for me. I see you definitively made more progress than me in the longlist. Hopefully next year I will be faster and more realistic about my abilities in reading 13 books in 1.5 months! It’s been a struggle though, I have to admit Out of the 13 so far, I had to put down History of Wolves because I was, frankly, bored. I’m surprised it made it to the shortlist but I guess gothic literature is big right now. I actually enjoyed History of Wolves quite a lot but I agree, it’s a surprise to see it on the shortlist. Did you read Days Without End? Really? Ok, I’ll keep on reading it. I haven’t read Days Without End yet, it’s the very last one I’m planning to get into. I have 3 left: History, Reservoir 13 and Days. If you were to pick the winner, which book would it be? I can’t pick a winner from these three (including 4321) that I’ve read because I don’t think any one of them should win. I think though that it’s going to be either Exit West or Autumn…or Lincoln. What do you think? I’m gonna go for Exit West for political relevancy and if not, it’d probably be Autumn! The next round of finalists comes out Oct 4 and the winner is announced Nov 15. I won’t be able to read them before the shortlist is released (and I already have a pile of books I bought and want to read first anyway), but I still think I’d like to read the long list and at least see if I agree with their choices. That’s quite soon. Well I wish I could join you but I have just today decided to do horror October. But it’s great fun to follow a literary prize and who knows you might find the next source of annual book recommendations. As if we don’t have enough books already in mind!